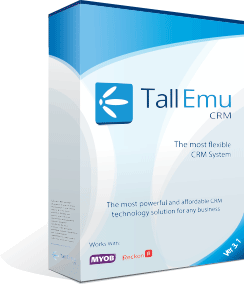 A good Customer Relationship Management (CRM) system can be a worthwhile investment for businesses of all types and sizes. Centralization and Sharing of Data: With Customer Relationship Managment (CRM) systems, data is stored in one centralized location, making it readily accessible to all members of an business or organization. This enables the company’s staff to more easily communicate with and market to their customers. If one sales person is on vacation, for instance, the information about his customers is available to the entire sales team, and they are able to pick up where he left off without jeopardizing a customer relationship. Better Customer Service: Customer Relationship Managment (CRM) systems are capable of storing detailed information about each customer, such as their history of orders, correspondence, survey responses, and marketing emails. Having such information easily accessible can significantly improve the speed and quality of customer service. This in turn gives employees more time to focus on sales, marketing, and other priorities. Higher Customer Satisfaction: Customer Relationship Management (CRM) systems make customers feel more like they are part of a team than merely a sales statistic. This sense of partnership often makes for a happier customer who is more likely to do repeat business and refer a potential new customer. Improved Marketing Efforts: Records contained within a Customer Relationship Management (CRM) system may be analyzed in order to more effectively market to each individual in a company’s database. Customer demographics, order histories, and survey results may be studied in order to determine which group(s) are best to target in each specific marketing campaign. Also, details about a customer’s previous orders can be used to predict when he is likely to place his next order, and what type of products he is interested in ordering. Cross-selling and up-selling can also be more effective when companies are equipped with this information. More Profit: The combination of more efficient customer service, more effective marketing, happier customers, and more sales translates to a more profitable business. In short there are many benefits that a Customer Relationship Management (CRM) system can deliver. They are Centralisation and Sharing of Data, Better Customer Service, Higher Customer Satisfaction, and Improved Marketing Efforts which in the end allows a business to achieve more profit!